If your date has been confirmed with a signed contract. We have packages starting at $595. -An on-site photo booth attendant. 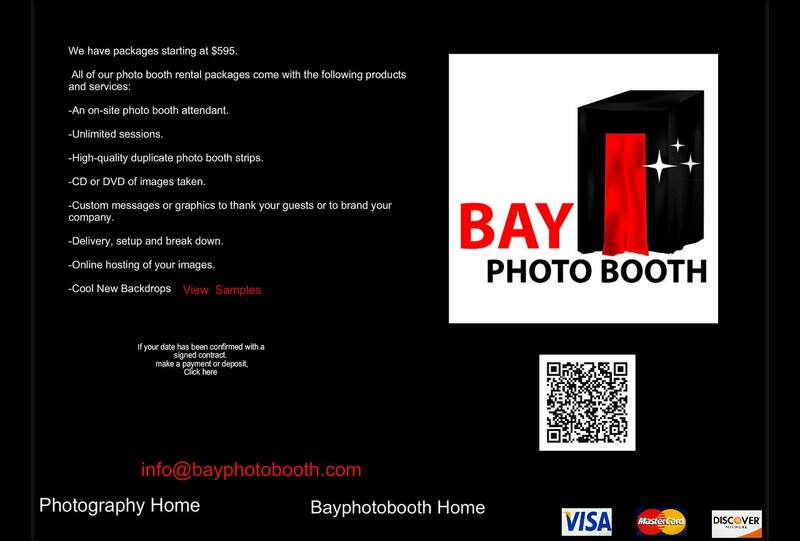 -High-quality duplicate photo booth strips. -CD or DVD of images taken. -Custom messages or graphics to thank your guests or to brand your company. -Delivery, setup and break down. -Online hosting of your images.